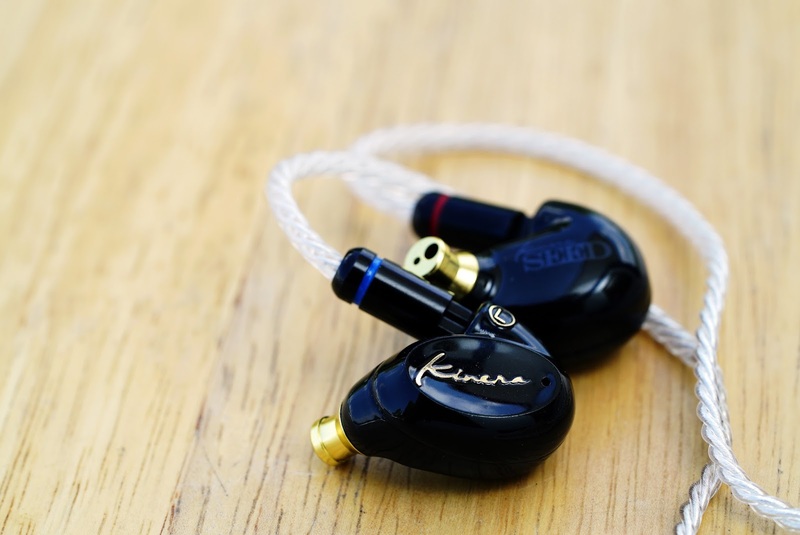 Kinera is a relatively known brand in some places, like in Japan, their BD005 is considered one of the best budget IEMs (In-Ear Monitors) in their market. Here in the Philippines though, they're just starting to take off from their previous product, the H3. Armed with their new branding and market presence, they just introduced their latest product, the Kinera Seed, Yin version. Will this Seed grow into something beautiful? We'll find out as I try to see what's good and bad about it. 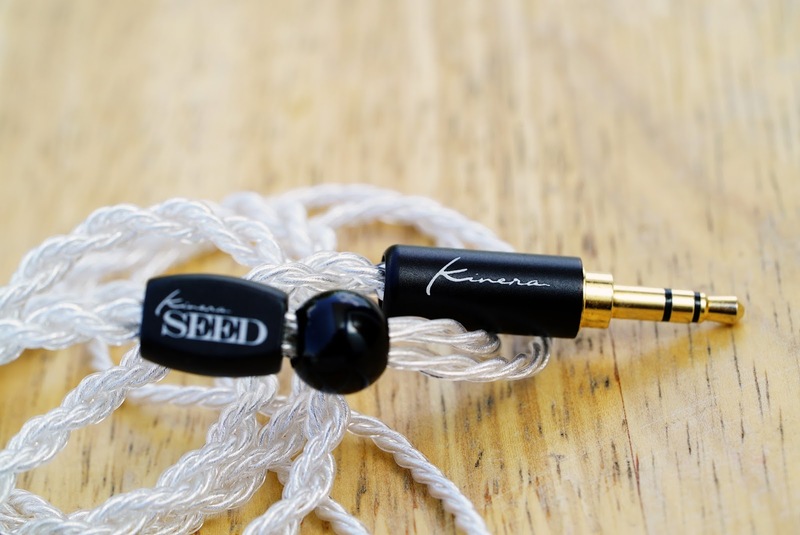 Before I begin though, this Kinera Seed was bought from a local seller with the intention to review it and (for myself to) compare it with the pre-final Seed (which I actually like a lot) which came in a simple black zippered hard pouch (seen below on the left), had 3 pairs of tips and the IEM + cable. Right off the bat, the Seed Yin (just for this article it'll be just called "Seed") comes in a nice solid square cardboard box with simple but functional images and infographics. It's actually very sturdy and could easily look like a box for an expensive product. 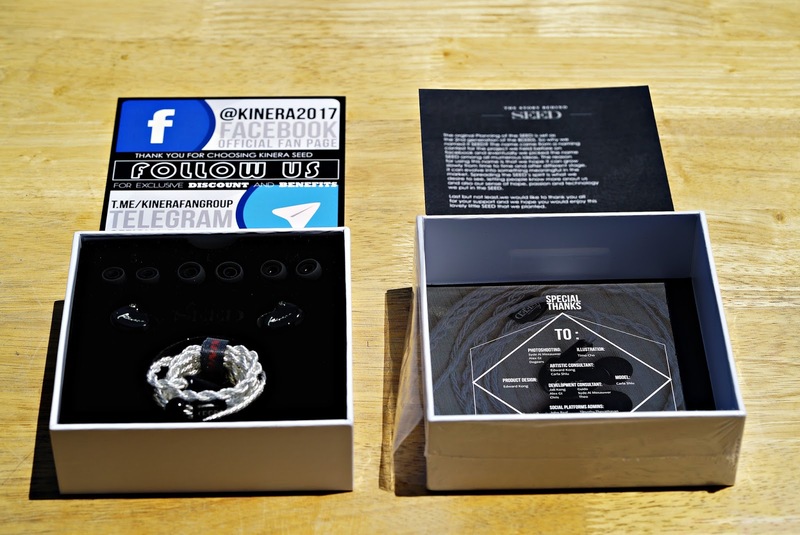 Inside the box, there are inserts dedicated to promoting Kinera's Telegram group, a brief story of the Seed and a nice thank you from the company for those that helped in their efforts.. 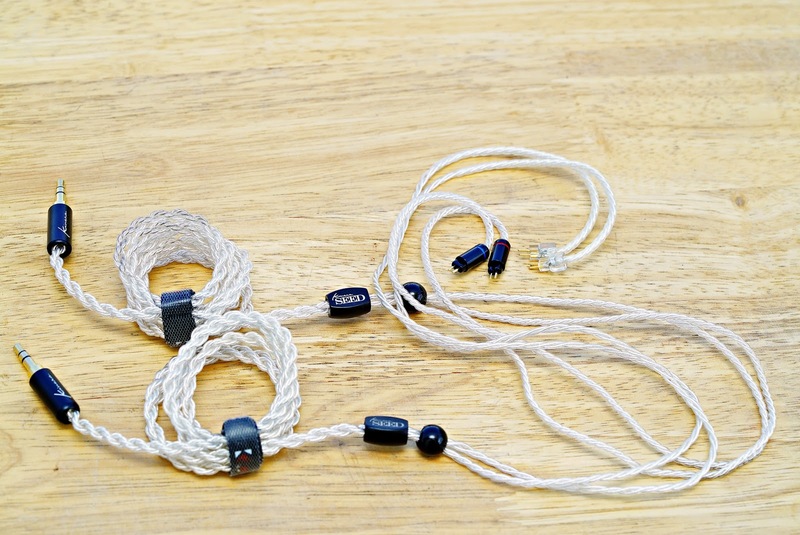 Which brings us to the centerpiece of the Seed, the IEM itself and it's pretty pretty looking cable. Accessories though are just 3 pairs of silicone tips, and though more would have been appreciated (and some may argue, needed, like memory foam tips at least) the whole package already seems a above the price of entry. The cable changed from clear connectors to a black metal case with easy to see left and right connectors that look and feel premium. 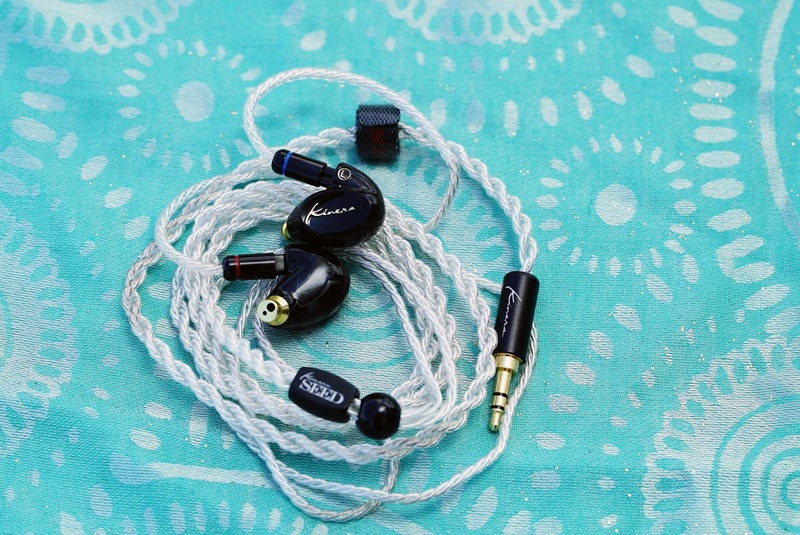 The wire itself is the same 6 Core Silver Plated Oxygen Free Copper wires and looks really good and sturdy (almost as good a looker as the Ibasso IT01.) The chin adjuster is a black plastic bead and the splitter is a similar plastic oblong piece with Kinera SEED branded into it. 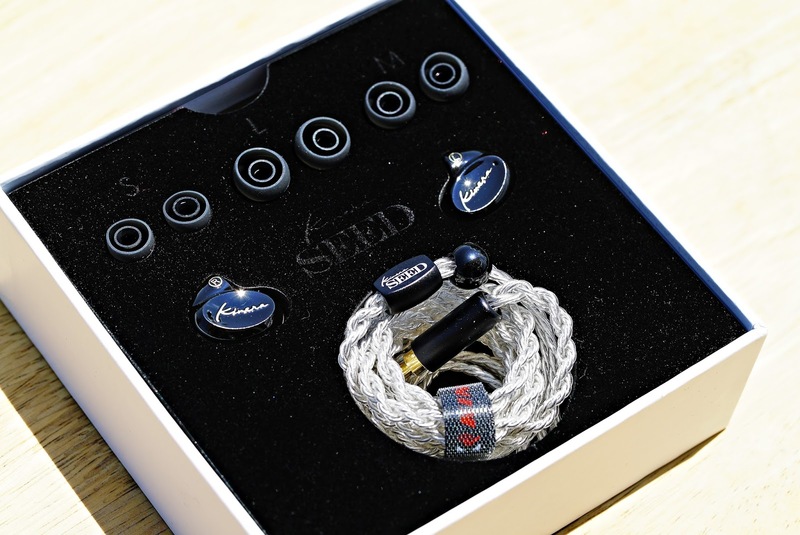 The old Seed has a more muted branding while the new one has a clearer and whiter branding, the 3.5mm jack is a metal jacket plug with gold terminals. Overall the cable looks better than most of the cables in it's price range and feels strong enough to win a few cable tug of wars. As for the Seed itself, it looks organic without any sharp edges, their shape is (to my knowledge) unique as I haven't seen anything similar (yet) and is an easy fit in my ear which doesn't need a lot of fiddling to sit comfortably. 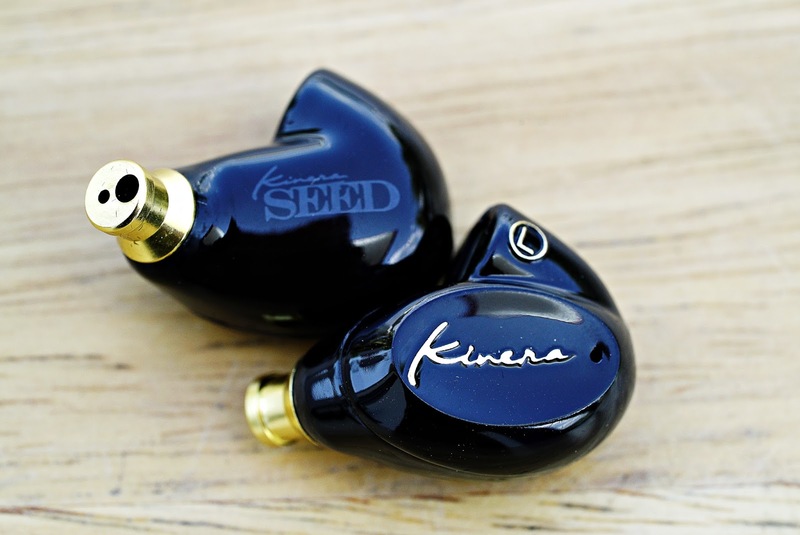 The New Kinera logo is on the outer face of the IEM in gold lettering with some clear coating over it as well as the left and right designations on each piece. The outer face shows one air hole, likely for the benefit of the 8mm dynamic driver. The bottom side has the Kinera SEED branding in a faded print look. 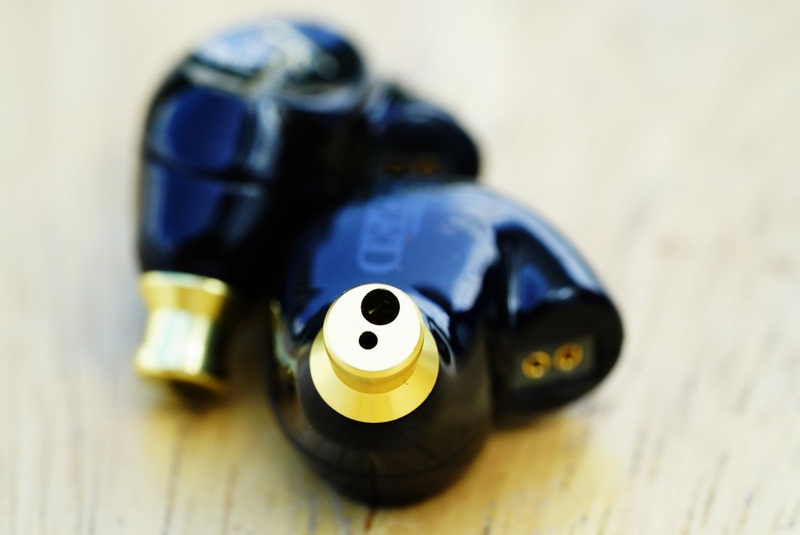 The nozzle jacket seems to made of some bronze material with two ports and a clear defined lip, they add to the overall premium look of the IEM as well as lend a comforting thought with it's durability. Just be sure to keep it clean as it does not have a wax screen. The two pin connectors are a tight fit at first but thankfully it's not a death grip when taking them out after and subsequent attachments and removals seem to maintain a good grip with easy re-connection. Kinera has recommended a burn in period of at least 50 hours so here I am at 65 hours of use (just playing music through it using various sources) and going to try and hear the Seed as it was meant/intended to be. Please note that the Seed, unless otherwise noted, will be used with the included stock tips, cable and single end output. The Music sources are volume matched to 80db using a 1khz tone file and a dedicated sound meter. Bass, the Seed has some good bass to give punch and moderate impact to the music. Decay speed is adequate to good, same with resolution and separation. Note that source plays a role in Bass representation of the Seed, the AP200 provides the strongest bass presence than the WM1a and XD-05. Songs like (but not limited to) A Different Way by DJ Snake (Feat Lauv), Cheap Thrills by Sia, Deeply Disturbed by Infected Mushroom, Get Lucky by Daft Punk & Way Down Deep by Jennifer Warnes in my test tracks exhibit good bass impact and lends a fun feet tapping beat to the music. Tips that helped in Bass gains from most to less: Comply Foam tips (T400), SpinFits, Symbio W, Stock Tips. Increasing the volume/gain symmetrically increases the Bass but mind your ears. Mids, on the Seed are good with vocals presenting themselves clearly with some detail and positioned a tiny bit above neutral/balanced. There is a warm thickness that is nice to listen to though strong Bass and low rumbling can compete with the vocals but it never really overwhelms them. Female vocals can sound a bit breathy and sweet to the ear with lightly controlled sibilance and a hint of brightness which can be easy but pleasant on the ears for long listen. Piano and guitars in this range are similarly pleasant to listen to but lack crispiness with warm sources. Highs, here are a mixed bag; on first listen, you can easily tell there is a lower than expected roll off in the highs (Previously I said neatly rolled off, though I think abruptly might be more appropriate) that seemed to affect the areas that induced sibilance and where cymbal crashes occur (somewhere around the 2000Hz to 4000Hz). Even after 65+ hours of continued use, those areas sound rolled off though there is a little bit more reach but the presence feels a bit muted and tamed before they reach a bright sound. What may strike some listeners as odd or strange is that at 4000 and onward, the Seed's highs are brighter the previous frequency area. This can be heard in Discover Tokyo by Shuta Hasunuma at 3:40 onwards, a section of the track will play high pitched synthesized sounds which is clear and bright, with some sparkle (it's not a lot and not as frequent in most/other songs) but the previous frequency portions of 2k-4k was rolled off and this part would become brighter in comparison. Soundstage with the Seed after 65+ hours show better layering and sound having more distance from your head in a more intimate stage with width but not as much depth. Using the Virtual Haircut track, positioning is good, while layering became better in handling multiple instances of sound, music and speech in one go. Using tips that have a wider bore help improve soundstage (Symbio W) as well as tips that push the nozzle farther from your ear (Large Spinfits, Longish Foam tips). Resolution isn't the best but pretty good enough for it's class with NIN - The Day The World Went Away, those distortion laden electric guitars sound good and not a washed out rumble. 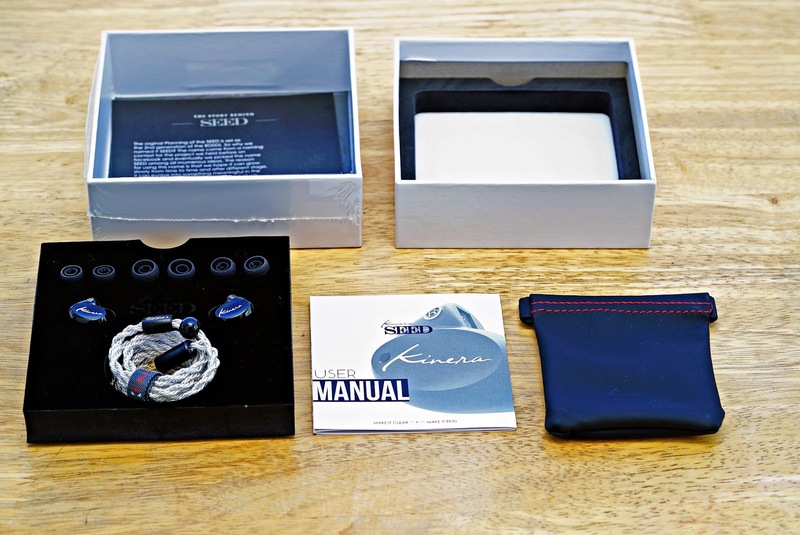 Overall, I think people who like casual listening and warm bassy music, will appreciate this IEM as a travel companion or even a daily driver as the fit and comfort is very good for my ears, and provides enjoyment in listening to non fatiguing music on the go. Worthwhile to note that the Seed is slightly source sensitive with neutral/balanced players exhibiting less bass presence. The highs on the Seed could have been more consistent with either balancing the brightness with the rolled off peaks a more flatter plot?) or raising the rolled off portions a little higher to catch up with the higher frequency areas. Critical listeners and those that want a more brighter signature will likely pass on this. Pros: It's ok to good listening with Rock, Metal, Grunge (generally most of test tracks), that favor a warm tone and mids. 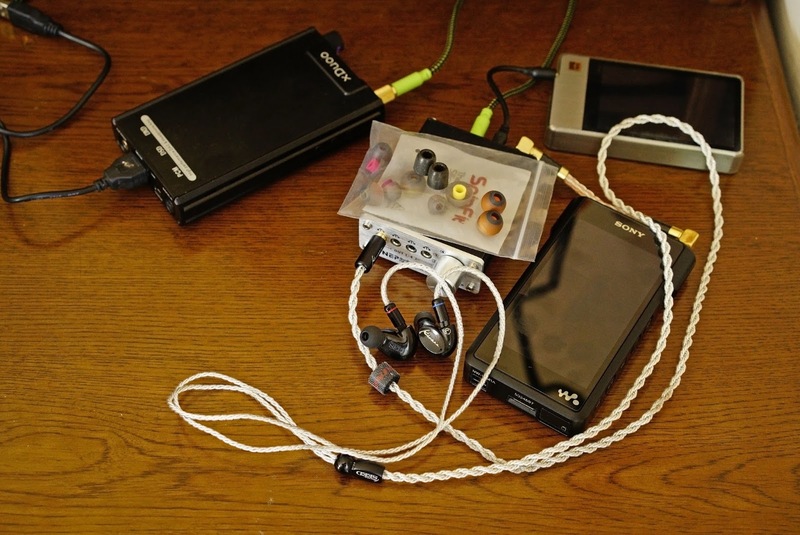 It's a light and comfortable IEM for daily use with nice cable. Has ample Bass and Mids. Cons: Songs that rely heavily on mids and highs like classical music. There's not enough tips, parts of the 2kHz-4kHz frequency is suppressed. 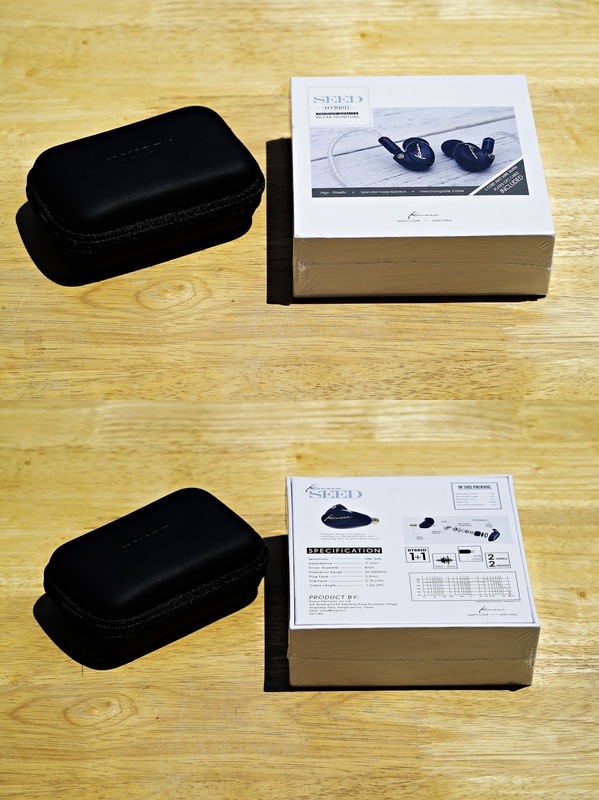 PS - The diaphragm material is PEEK, which according to some people more familiar with the material in the earbud community needs a lot more burning in to reach its true potential which is along the 500 hours. Whether you believe this or not, you can easily take this with a grain of salt.